Our sponsors help bring Hippie Fest to life. We partner with businesses to build community and brand awareness. Sponsorships provide funding for festival necessities including live music and entertainment, family-friendly activities, facilities, and security. 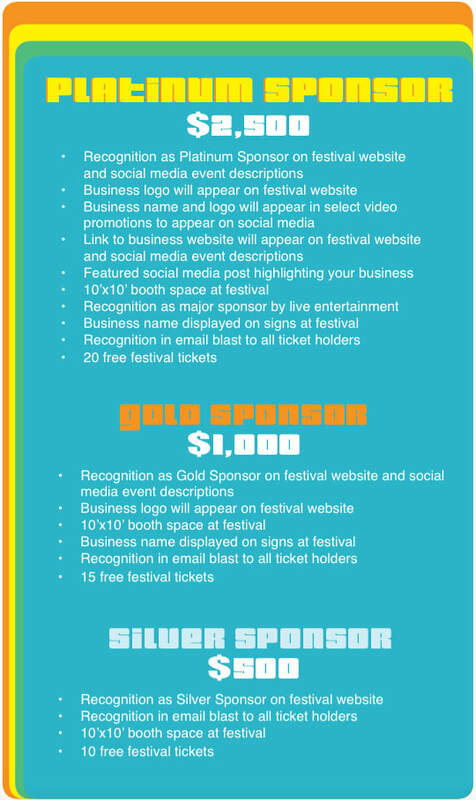 Sponsor businesses are promoted on Hippie Fest's social media channels and website, in addition to being advertised live at the festival. Thank you for your interest in being a sponsor. Please fill out the form below and a representative will be in touch with you shortly. We look forward to your partnership with Hippie Fest!